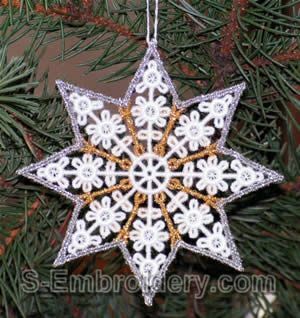 This free standing lace star ornaments setincludes 5 machine embroidery designs. 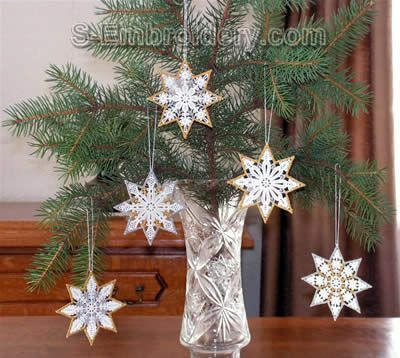 Each of them is available in 2 versions - one of them will a make perfect decoration for your custom made Christmas card and the other has a hoop to hang the Star ornament on the Christmas tree. 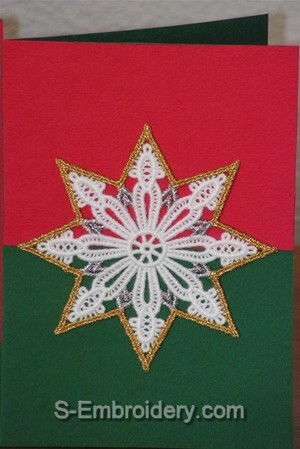 The hoop is a part of the design, so you will not have to prepare it separately. 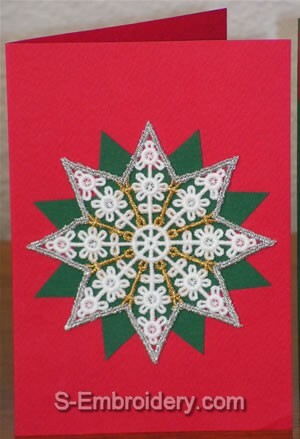 Note: All designs will fit in 4x4 hoops. 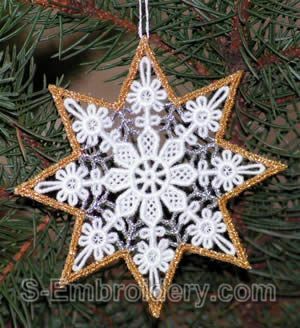 Our delivery includes design information and instructions in PDF format and 10 machine embroidery files (5 designs x 2 versions) in one of the supported machine embroidery formats.